The Central Board of Film Certification (CBFC) has been going through some changes lately with new jury members being brought in. Actor S. Ve. Sekar and actress Jeevitha Rajasekhar have officially joined as jury members now. Filmmaker Pahlaj Nihalani has been appointed as new chairperson of Central Board of film Certification (CBFC). This comes after previous CBFC chief Leela Samson resigned last week from the top post in the panel citing interference and corruption in the Information and Broadcasting Ministry. Newly appointed Censor Board chief Nihalani said he will do his job without any controversy and he also said that there was nothing wrong in the way 'MSG - Messenger of God' was cleared by appellate Tribunal. Nine other members of CBFC had resigned from their posts alleging interference from the government. The other newly-appointed Censor Board members are Mihir Bhuta, Syed Abdul Bari, Ramesh Patange, George Baker, Chandra Prakashh Diwedi, Jeevitha, Vani Tripathi Tikoo, SV Shekhar and Ashok Pandit. S. Ve. 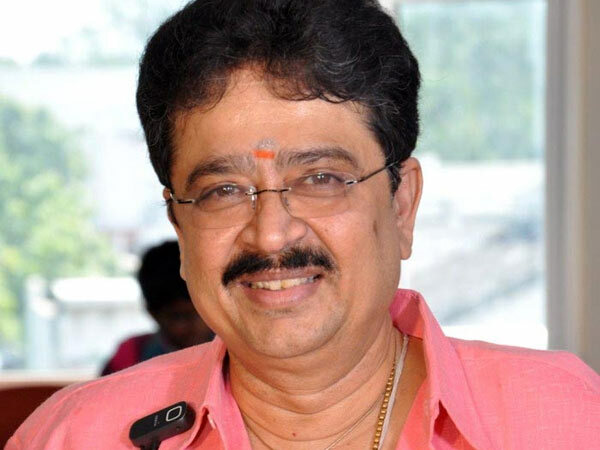 Shekher (Sattanathapuram Venkataraman Shekhar) begun his career as a stage artist who was later introduced into Kollywood by Late K. Balachender. S.V. Sekar is one of the best-known comedians as far as Tamil dramas are concerned. Wisdom Magazine chose him as the 1990s Best Comedian. Apart from drama, stage and acting, he was elected as ADMK MLA under J Jayalaitha leadership and later expelled from the party. Talking about his new role in CBFC, S. Ve. Shekher expressed his happiness and when questioned about the ongoing transgender protest against film maker Shankar for showing them in bad light in the movie I, he said he will ensure such degradation against transgenders will not happened again and such scenes will be censored by the certification board in future. Another new board member from south is Telugu actor Jeevitha. "I'm delighted I've been chosen as one of the members. It's a post that comes with great responsibility. I don't want to comment on the ongoing controversies, but I'm sure the new board members won't disappoint," Jeevitha told. "It's good to have someone from the south in the board. I'm happy that we've not been ignored," Jeevitha said. Asked about the clearance of controversial film "MSG - Messenger of God", she said: "I haven't watched the film yet. It would be unfair on my part to comment now."